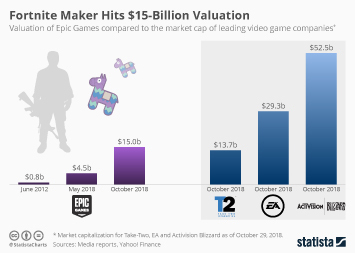 From March 19 to March 23, the global video game industry will convene in San Francisco for the annual Game Developers Conference. 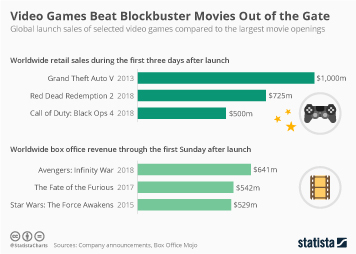 Attracting more than 26,000 attendees, the event, organized by the UBM Game Network, is the largest forum for all professionals involved in the development and distribution of video games. 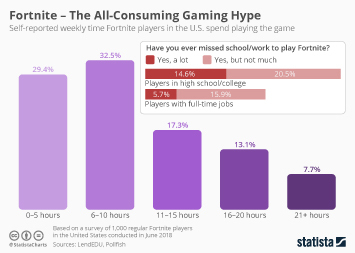 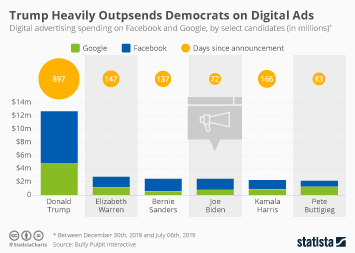 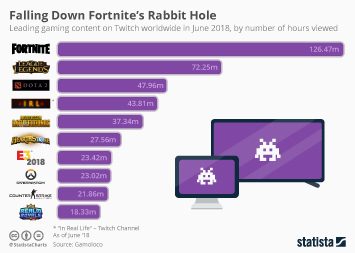 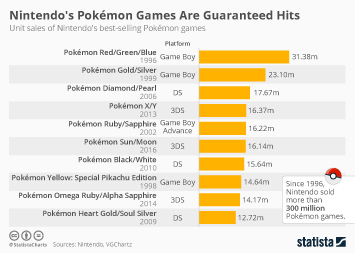 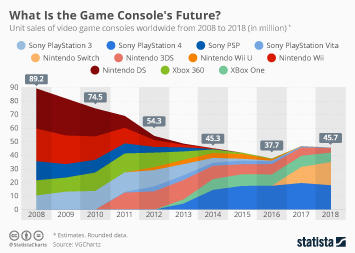 Due to the fact that media coverage of the gaming industry often focuses on hardware and on the question of which video game console is doing best, it’s easy to underestimate the size of the software side of things. 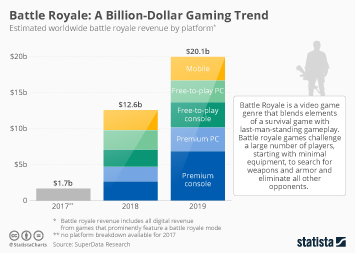 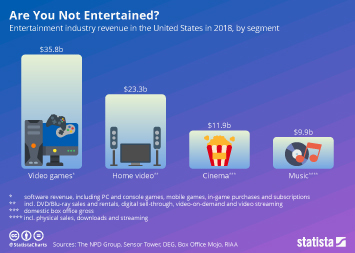 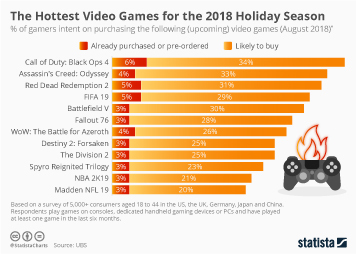 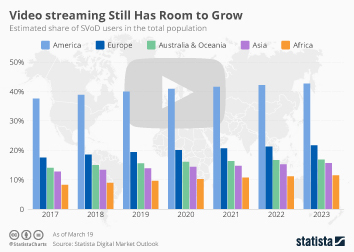 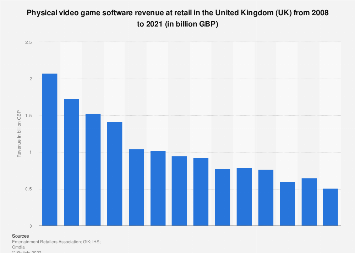 According to data published by the Entertainment Software Association (ESA) and the NPD Group, video game software revenue, including in-game purchases and subscriptions, exceeds hardware revenue by a wide margin. 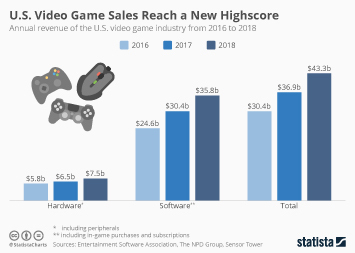 At $29.1 billion, software sales contributed more than 80 percent to the U.S. video game industry’s record haul of $36 billion in 2017. 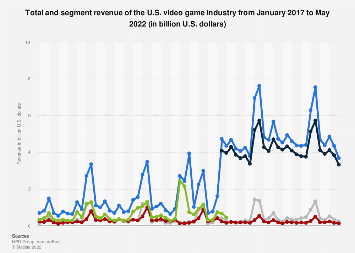 This chart shows the U.S. video game industry's revenue in 2016 and 2017.